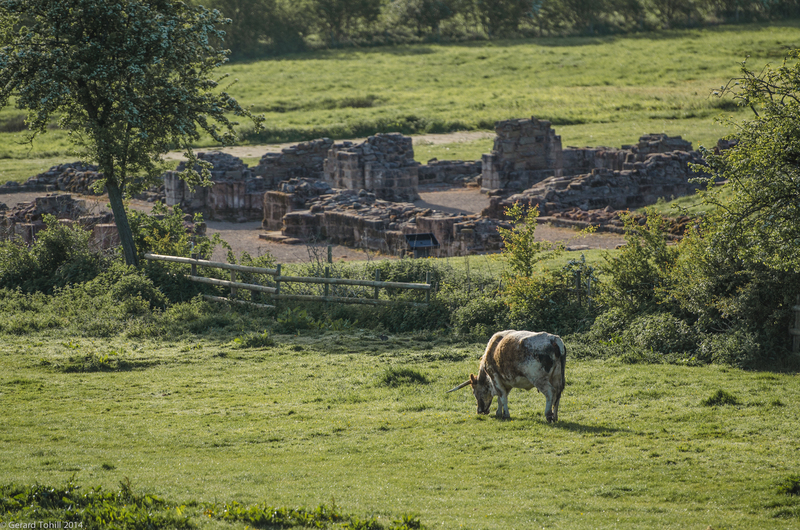 An English Longhorn grazes in Bordesley Meadows, with the ruins of Bordesley Abbey in the background. I think I just missed the best of the morning light when I took this, but I plan to return and try again when the light is better. Photography stuff: 70-200mm lens at 200mm, 1/1250 sec at f/2.8. A Classic English image! Regards Thom. Thank you very much Thom – appreciated.